Make the switch to LED lighting and SAVE today! Energy costs continue to rise and more Federal regulations are taking affect. Let Schramm Electric help your business save energy and money immediately by switching your business to LED Lighting. Interested? Great! Let’s set up a time to talk more specifically about how LED Lighting can benefit your business. Fill out the form below, and we will be in touch to set up a FREE Consultation. 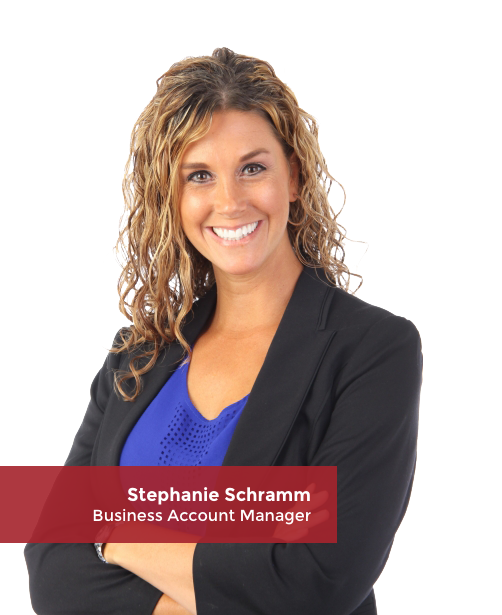 Our Business Account Manager Stephanie Schramm will be in touch with you soon to set up a meeting. With LED Lighting you could Save 25-40% on your next electric bill. LED lights use 50-90% less power than traditional lighting, which translates to lower energy bills, and more money for your bottom line. Why LEDs are quickly becoming the lighting choice EVERYWHERE you need light. Saves the environment; less waste and disposal hazards . Extremely long life lasts 10 times longer than traditional lighting. Reduced maintenance costs; Replacement cycle costs are drastically reduced. Reduces ambient heat; generates far less heat than traditional lighting allowing greater savings on air conditioning costs. Produces less glare; higher productivity and safety in the work place. Better directional lighting; directionality allows for precision lighting with no wasted light. Less pollution: No toxic chemicals like that found in traditional incandescent, fluorescent and HID lighting like-arsenic, mercury, lead, carbon dioxide or phosphorous. No UV radiation produces no ultra violet or infrared light. With a staff of full-time electricians that is wired into some of the biggest jobs in town – Schramm Electric is now ready to serve you. Our reputation for solid relationships, quality customer service and deep knowledge of the industry keeps clients coming back and continually builds new ones. With nearly 15 years of expertise as an electrician, Seth is a full service Certified Master Electrician with licenses in Iowa, Nebraska and South Dakota. Seth is a military veteran, a hockey fan and the owner of Schramm Electric. Fill out the form below, and Stephanie will be in touch to set up a FREE Consultation.